The magician explains that this is not some normal sponge ball trick. This effect is something special - it involves red sponge hearts. After a series of tricky moves with both hands, the magician asks spectators which hand they think the heart is hidden in. The spectators always guess wrong because the sponge hearts are not only multiplies, but they are always jumping around in the magician's hands! 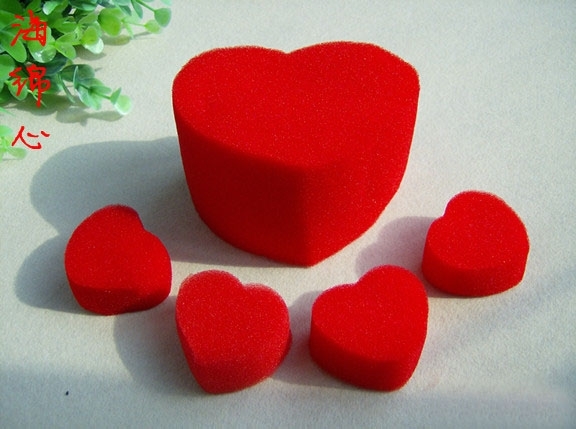 Ultimately, the magician ask for their final guesses, but their answers make no difference as they will never expect that the magician has MULTIPLIED his sponge hearts into a JUMBO SPONGY HEART! DEFINITELY A FUNNY GREAT SURPRISE TO ALL! Comes with full instruction to teach you step by step in performing this trick.